Whether you need to have an HVAC system installed at your Denton home or business or need repairs, Cote’s Mechanical can help. We provide a wide range of HVAC services for residential and commercial customers in the Denton area. Our professional HVAC technicians have the skills and knowledge to handle your heating and cooling needs. 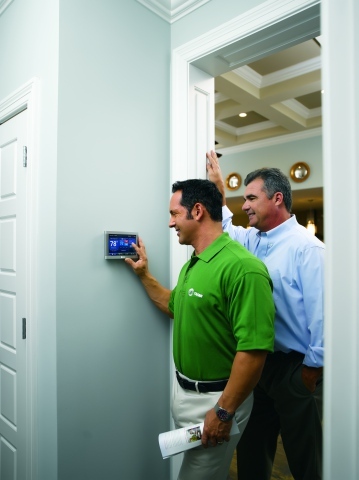 With our help, you can rest assured that your home or business will feel comfortable all year long. At Cote’s Mechanical, we can install a new heating and cooling system to make your home or business more energy-efficient. When you have unexpected problems with your equipment, we’re also here to help – whether it happens during the day, at night, or on the weekend. You can count on Cote’s Mechanical to provide the best A/C and heating services in Denton. Having heating and cooling that you can depend on is important all year round. Whether you have an older HVAC system that needs to be replaced or your current system requires emergency repairs, our technicians will provide you with prompt service. We offer installation and repair services for all A/C and heating units in Denton to help ensure that you never have to deal with an interior that’s too hot or too cold. All of our technicians are properly licensed and provide exceptional service from start to finish. Cote’s Mechanical can also help you keep your HVAC system up and running for many years with routine maintenance. Our technicians can check for problems and give your system a tune-up when needed. We also offer replacement services when you have equipment that is damaged or has a lot of wear and tear. Cote’s Mechanical has established a stellar reputation for providing top-notch HVAC services in the Denton area thanks to our dedication to high-quality customer service. Our company has been focusing on great customer care when providing heating and cooling services since 2001. 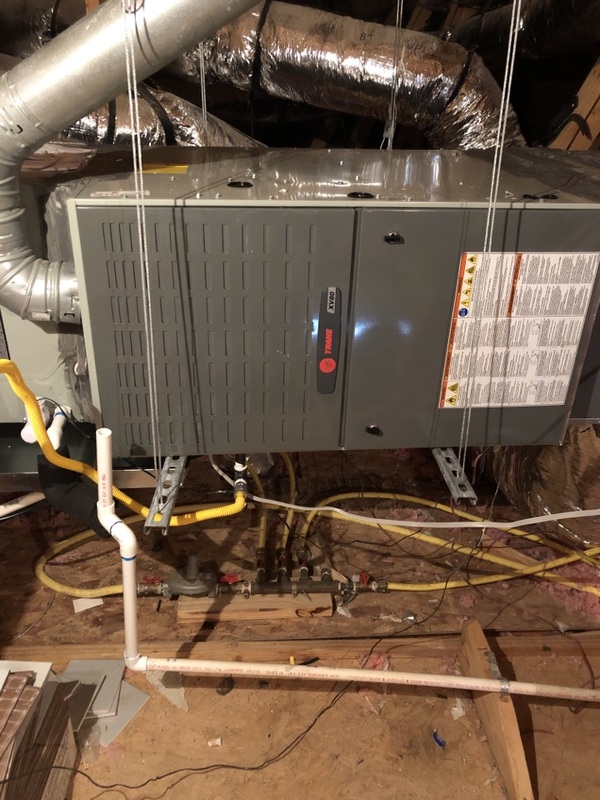 Co-owners Cote and Kristi Wyatt, as well as our entire team of skilled technicians, have the knowledge and experience needed to ensure that residential and commercial customers in Denton have reliable HVAC equipment that will keep working for longer. At Cote’s Mechanical, we’re proud to have received a Super Service Award from Angie’s List and accreditation given by the Air Conditioning Contractors of America (ACCA). 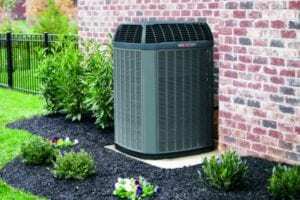 Our company also has the distinction of being a certified Trane Comfort Specialist, meaning that we have successfully met Trane’s high standards for HVAC services. The Better Business Bureau has also given us the highest rating of A+. Reviews from our customers show how committed our company is to make sure that customers are completely satisfied. Customer reviews frequently mention how quickly technicians arrive on site to repair HVAC systems, sparing customers from having to deal with the Texas heat for too long. Customers are also thankful that we provide 24/7 emergency service and that our technicians are able to diagnose and repair HVAC problems promptly. Roughly 133,803 people have made Denton their home. The city is in a location that offers convenient access to both Dallas and Fort Worth. Dallas is about an hour’s drive away via I-35E S, and Fort Worth is about 45 minutes away via I-35W S.
Residents who love being outside have several parks and other green spaces that they can explore. Go fishing, play sand volleyball, or walk along the trails at South Lakes Park, or bring the kids to Carl Gene Young Sr. Park to play on the playground and cool off on the Sprayground. Explore upland prairie and hardwood forest habitats at Clear Creek Natural Heritage Center, or take pets to Wiggly Field Dog Park. Residents can also enjoy live jazz music and delicious food at GreenHouse Restaurant, or dine at Giuseppe’s for classic Italian meals. Denton residents who want to get involved in the community have plenty of volunteer opportunities available. Some of these programs and organizations include Keep Denton Beautiful, Denton Animal Support Foundation, Children’s Advocacy Center, and Citizen Police Volunteer Program. When your Denton home or business needs heating or cooling services, contact Cote’s Mechanical. Our technicians can provide you with timely repairs, installations, maintenance, and other HVAC-related services. With our help, you’ll have consistently dependable heating and air conditioning for your residential or commercial property all year long. Our tech arrived on time, even a little early. Friendly smile, and professional. He vacuumed up any mess and was done. COTE’S Team, and we have seen a lot of different ones over the years because our factory installed system was horrible. He is actually the same tech that came out about his time last year. In the summer of 2017, after we had our new roof installed from the hail damage that March, our tech found and repaired issues the roofers made, and then ignored that could have caused carbon monoxide to flow into our living space. Thank goodness we hadn’t had to use our heater but a couple of times before he found and fixed the problem. Very scary! Heat repaired in a timely manner. Courteous repair technician with a sense of humor. He quickly analyzed the problem and had the needed repair part in truck. Explained malfunction and throughly checked out the heating system to make sure it was working correctly before leaving.. would use them again. Just had my fall check up. My service person was right on time and performed all the diagnostics and maintance for my heating system. Every one of their service personnel are super guys and always reliable. Since having my AC/Heating checked every spring and fall over the years, my warranty is in full force. My AC/Heating system keeps performing without problems. I highly recommend Cotes Mechanical ! Cote’s Mechanical came today to service my heat and air system. He came early in the four hour window and after servicing, he changed my filters. I would call them again. The tech was on time, and very polite. He went the extra mile and changed my filter for me so I wouldn’t have to. Limb a ladder. He was knowledgable and gave me information regarding my system, plus cleaning the area and made sure all was working properly. This tech and the service was excellent. Bill has routinely provided excellent service! Not only is he knowledgeable, he is so polite and pleasant to deal with. Cote's has been our HVAC company for years, and we are very happy with them. Arrived before appt time. Was nice and friendly. Had patience with me and all the questions I asked. Performed maintenance on this trane furnace. Working great at this time. Monday – Saturday: 8 a.m. to 5 p.m.